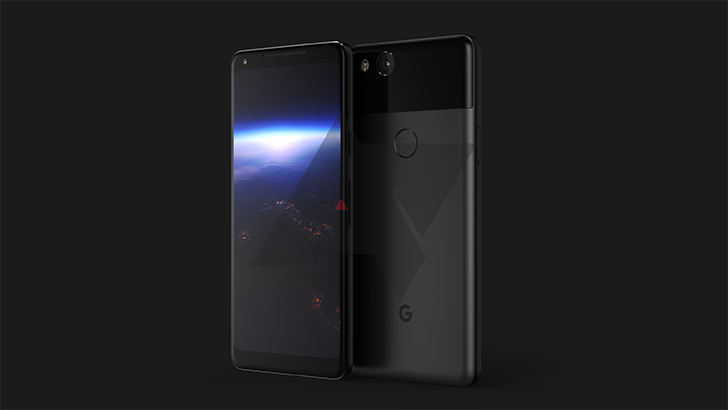 Google Pixel XL 2 Render Appear; Has Improved Design, AMOLED Screen with Slim Bezels - Playfuldroid! In October, Google is slated to announce the Google Pixel 2 and Pixel XL 2 smartphones. In the recent past, the Google Pixel XL 2 had appeared on Geekbench benchmarking platform. Today, Android Police has released a render of the Google Pixel XL 2 smartphone that is codenamed as Taimen. With a confidence rating of 8/10, the publication claims that the above picture represents the look and feel of the Pixel XL 2. Sources have revealed that LG is the manufacturer of the Pixel XL 2. The backside of the phone that sports dual-tone colors appear to have a curvy look and sharper corners. The top-left has a single camera that does not have any camera bump. A fingerprint scanner is located in the below the glass portion. There are no noticeable antenna bands. The Pixel XL 2 features a 6-inch AMOLED screen that offers an aspect ratio of 2:1 and features minimal bezels. The screen appears to be flat. The earpiece on the top bezel appears to be wide. The upper bezel also features the selfie camera. The publication claims that the design of the upcoming Google Pixel 2 phone would be similar to the original Pixel. There is a possibility that the Pixel XL will have a pressure-sensitive frame like the HTC U11. New Xiaomi Bluemi Phones Coming to Rival OPPO and Vivo Offline?